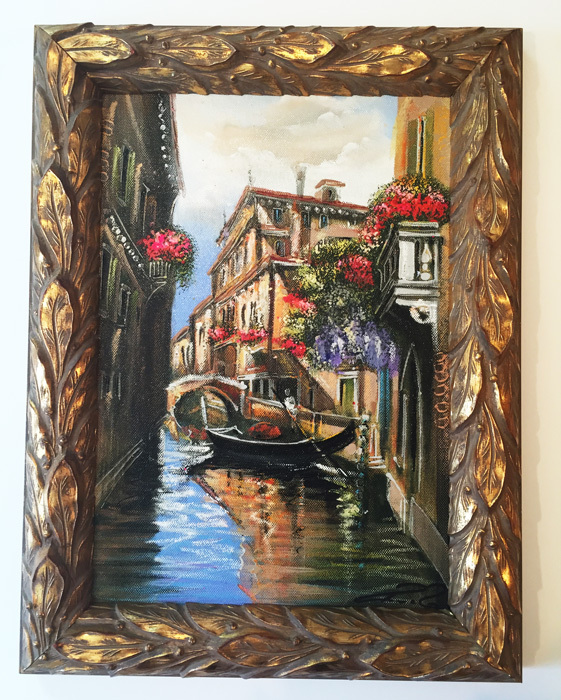 Venetian Canvas - our customer brought this back from a recent trip to Italy. 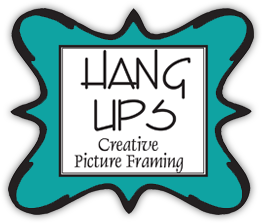 Because it was painted on canvas, we could simply pop it in to a frame - no mats or glass needed! 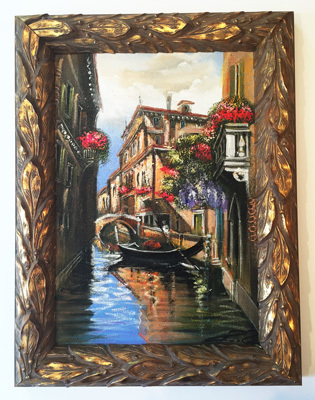 We worked with our customer’s wants and decor to find a frame that reflected the Old World elegance of Venice. 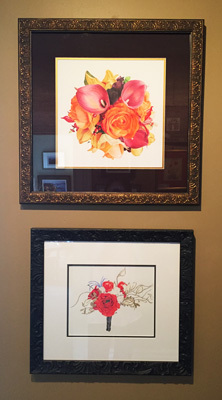 Amber Brown - Both of these pieces came from a talented local artist who does custom coloured pencil bridal bouquets. 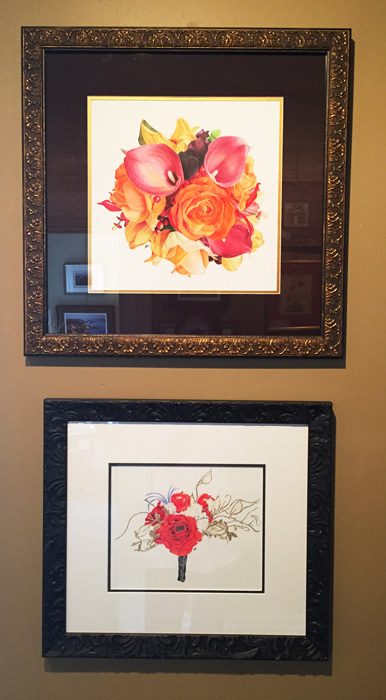 The opulence of the colours and textures in the bouquets required equally rich materials - so we chose beautiful and feminine frames and paired them with rich textured mats. 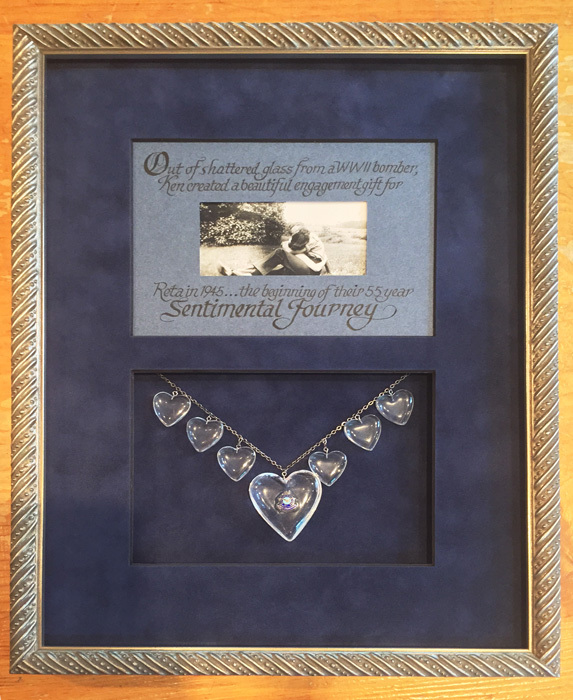 Airplane Glass Hearts - Our customer brought in this necklace and the sweetest story of love and dedication between her parents. We wanted to showcase the craftsmanship of the individually carved hearts (created out of shattered glass from a WWII bomber), so we chose beautiful suede mats, and a soft yet feminine frame. Collaborating with a local calligrapher to create the text perfected the story. 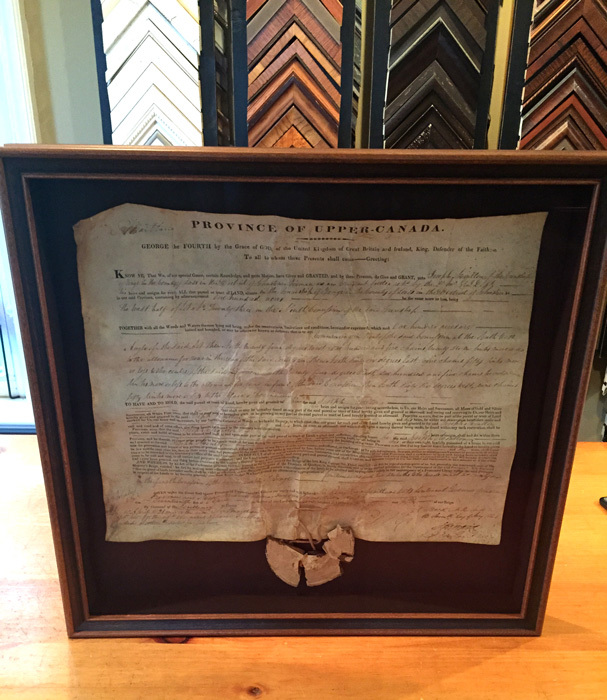 Upper Canada Deed - Our customer brought a deed that had been in his family since 1834, when they first granted the land. We wanted to keep the framing simple to showcase the deed and its history, so we chose mats and a deep frame with an antique styling. Working with old parchment requires special care, so as little of the parchment as possible is secured down. F.H. 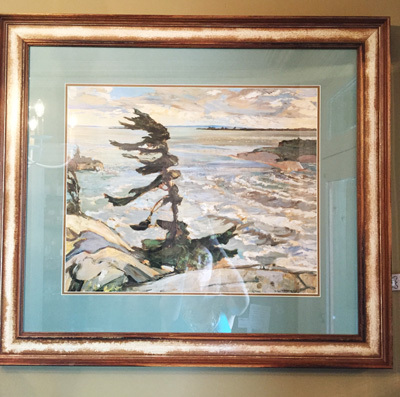 Varley Print - For this iconic Group of Seven print, we drew colours from the image that reflected a watery feel. 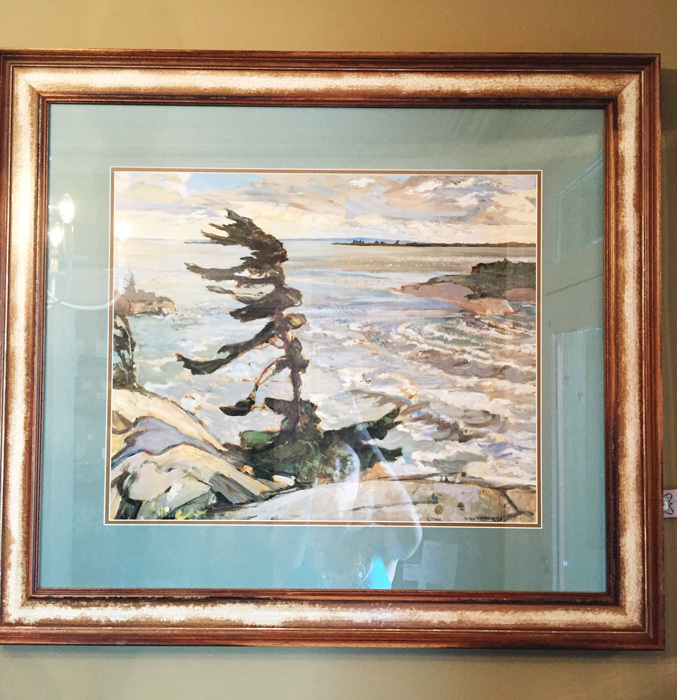 Choosing a frame rich in Canadiana inspiration was the perfect way to complete the piece. 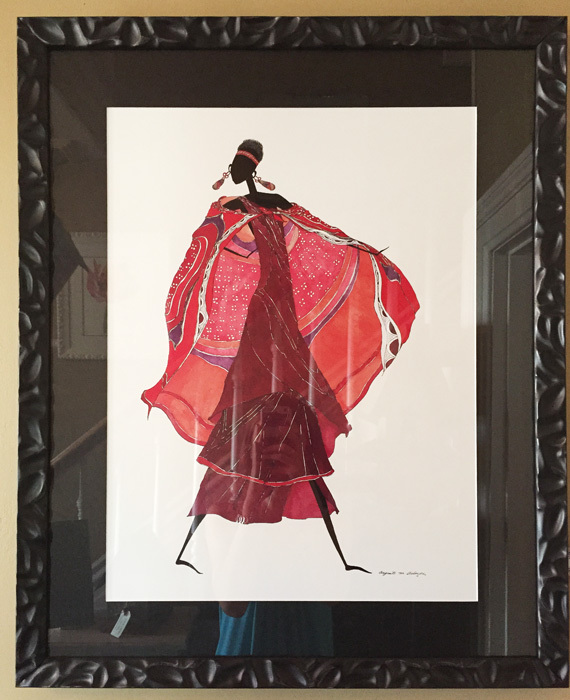 African Lady Print - For this print, we chose a textured mat that reflected the movement in her garments, and a fun, yet organic frame that brings the image to life.